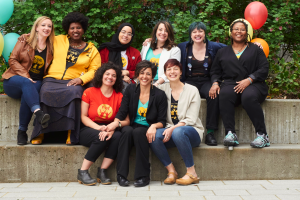 Young Women Empowered (Y-WE) delivers creative, innovative and transformative empowerment programs for diverse young women* in the greater Seattle region. We envision a society rooted in social justice, where all young women* live their truth, achieve their dreams, and change our world. Founded in 2010, we have grown from serving 50 young and adult women* annually to serving over 700 annually. Join our incredible team of dedicated youth workers, social justice advocates, and women’s empowerment champions. Y-WE Nature Connections is hiring two temporary positions: Garden Leader and Community Engagement Coordinator. Interested in applying? Click here to submit your internship application online!